Why did it take me so long to brew this beast? I’m a huge IPA fan. I love the big bold flavors, intense hop aromas, and the sort of beer you want to sip like a fine oak-aged Tawny port. The problem is that occasionally, I want to gulp my brew–like I did after my inaugural mud run. Considering most of my creations start off in the high 1.062 – 1.068 gravity range, I’m normally hitting beers with 7% alcohol–this is not conducive to quenching a thirst and staying vertical. I’ve tried my hand at developing a full bodied IPA at 5%, and even a hoppy pale ale at 5%, but they seem two dimensional. Make way for the English pint. I have to admit, as an X-pat Brit, I’ve spent most of my years developing my palette on American beers–specifically IPA’s (Sisters of the Moon IPA, Foothills Jade and Hoppyum, Heavy Seas Loose Cannon, Carolina Breweries Flagship IPA, and a solid mention to the Mecca of all things beer, Stones many delightful creations). So after a recent trip back to the UK, I got to sample some of the local English bitters. They are quite light and refreshing, the flavors are sometimes so delicate that you find yourself sipping another mouthful before you have savored and swallowed the first. Before you know it, the pint is gone…Oh well, it’s only 3.7%, I can have another. 😉 And then it hit me, screw the light IPA, I’ll brew a standard ordinary bitter–there is nothing standard, nor ordinary about it. My in-laws don’t like hoppy beers, but they are quite partial to Boddingtons (a commercial UK bitter). I found several recipes on-line, threw them all together, and found the common threads. I then added some of my own extras, and made a few brew-day errors which added to the uniqueness of the brew. Since this beer was brewed for Christmas, my wife came up with the name “Christmas Cracker”. Having kids in middle grade, my brain has reverted a little, and so this image above was the final design. I cannot take credit for the image, I stole that from the internet and tweaked it a little. If anyone is interested, here is the recipe we ended up brewing rather than what we meant to brew (got a bit flaky on the hop additions schedule). Hey, that’s how advances are made. We have a name and a logo. Thank you to the talented Mr. Juan Pablo for designing our logo. Our resident artist has some up with the perfect combination of color and design. For those not living on our street, we live on Acapella Lane. Our street sign sits atop a STOP sign in our yard, hence the hexagonal shape, and street sign speaks for itself. We love the, “juicy colors”, and the nostalgic 3-pass silk screen imagery. 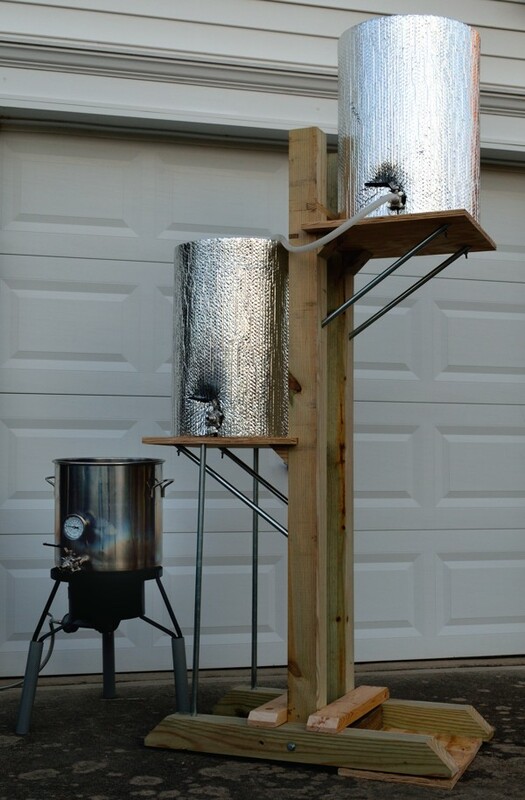 What a great way to start our brewing project. 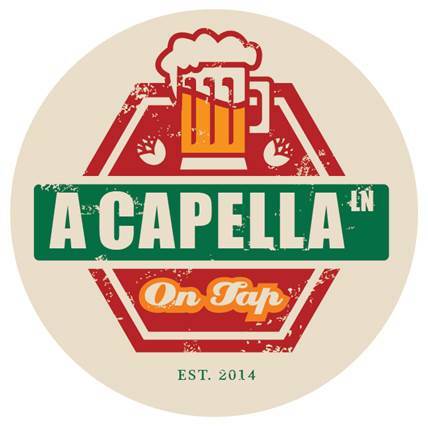 Acapella lane on tap coasters may soon adorn our garage/brewery. Cheers, and thank you JP.